Have you ever dreamed of being something else “when you grow up” as I like to say? The first person who modeled for me that life was a series of mini-episodes was my mother. She spent most of her 20’s and 30’s raising her children. In her 40’s, having a dated transcript and an Associates degree, she went back to school. She earned a Bachelor’s degree and completed her MBA. In her 50’s, she began a career that lasted until she passed away a few years ago in her seventies. She inspired me and so many others with her sheer motivation, determination, passion for learning and growing as a woman and professional. My friend, Kris whose story I am sharing with you today also inspires me and I hope it inspires you too, especially if you are in a situation where you are saying to yourself, “now what?”. It’s a question I know so many women ask themselves from time to time when they find themselves “here” but know they need or maybe just want to be “there”. They just can’t figure out where the “there” is, if you know what I mean? I feel that way quite a bit actually. Kris’s story may inspire you because she has developed a passion for something that I would have never, ever imagined her doing which I think is the key. But first, let me briefly tell you about her. Kris, her husband and I were classmates at Bowdoin College in Maine so we have been friends for a very, very looong time! It would be impossible to write a short and sweet paragraph that does justice to our friendship. Let’s just say I hope there is never a time when both Kris and her husband are not in my life. They mean the world to me. Kris was a dancer growing up and became a buyer for a small retail chain located here in Massachusetts after we graduated from college. Like me, she chose to stay at home with her children and spent many of her children’s school years in professional volunteer mode. Although we have never lived in the same town, our daughters did attend high school together so our friendship became even tighter during those years. We were in each other’s weddings and we have forever exchanged recipes and cookbooks with each other. In fact, I referenced her recipe for blueberry cake in one of my very first blog posts. In addition to being a wonderful cook and baker, Kris is an expert gardener and an avid biker as well. She also happens to be beautiful inside and out. 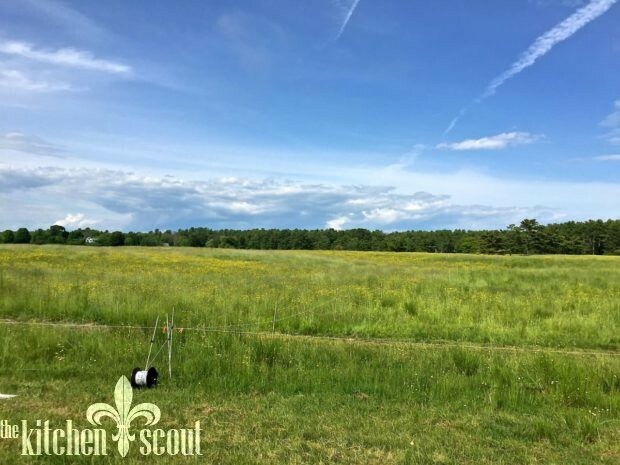 A few years ago, an opportunity arose for Kris and her husband to return to Maine full time. Their summer retreat became their permanent residence. Although they had spent years in this community, Brunswick was now “home” and as such, Kris set out to create her new life. 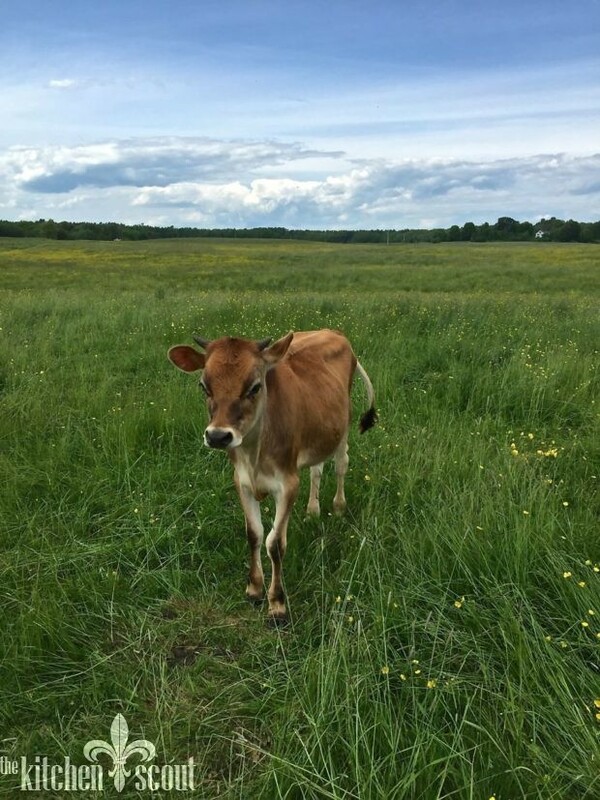 She joined a few boards, one of which was the Brunswick-Topsham Land Trust (BTLT) because of her interest in one of their programs called Local Farms-Local Food. 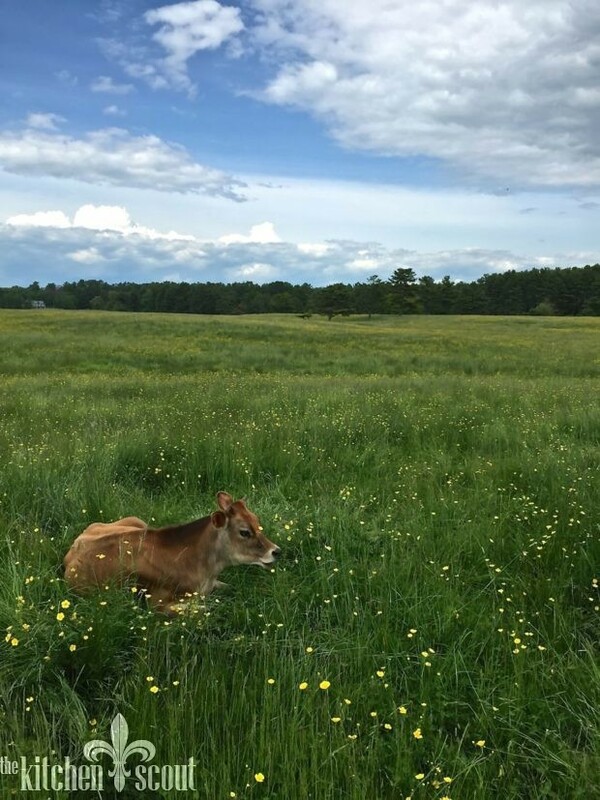 This program is a partnership with the Kennebec Estuary Land Trust that seeks to conserve farmland, increase local food production and promote a more resilient food system in this region of Maine. 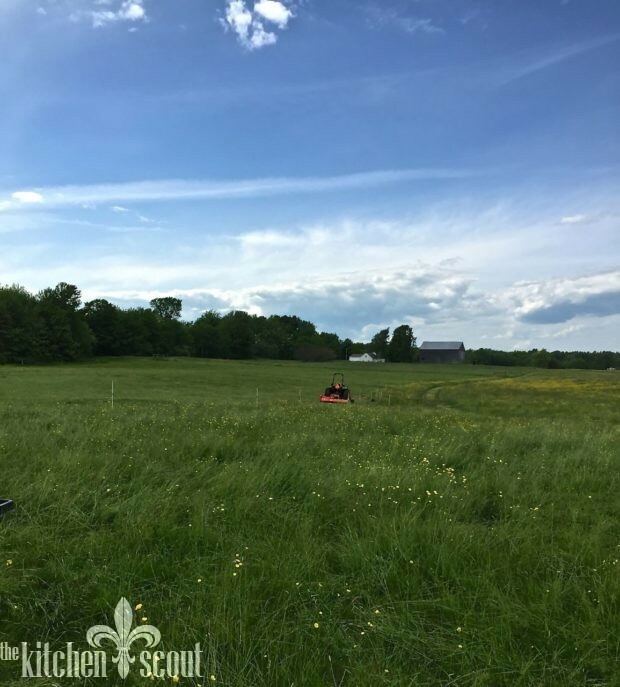 It followed that a piece of land came up for sale near Kris’s home that had historically been part of a working farm. Rather than see it get snatched up by developers, Kris and her husband decided to purchase and conserve it permanently. Kris’s life subsequently moved into a completely new direction. 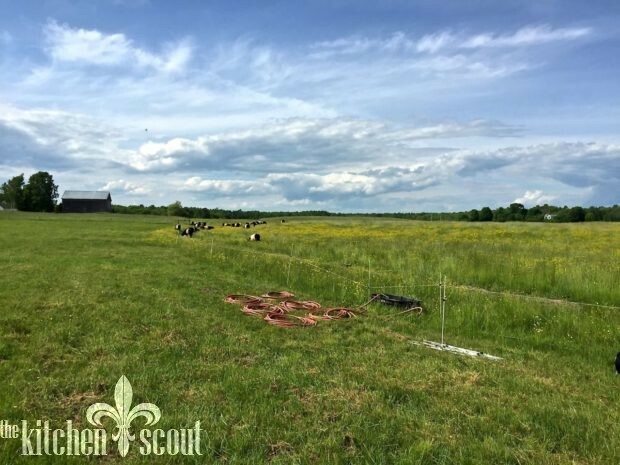 Making the decision to conserve the land was step one. Step two was figuring out the land’s future. 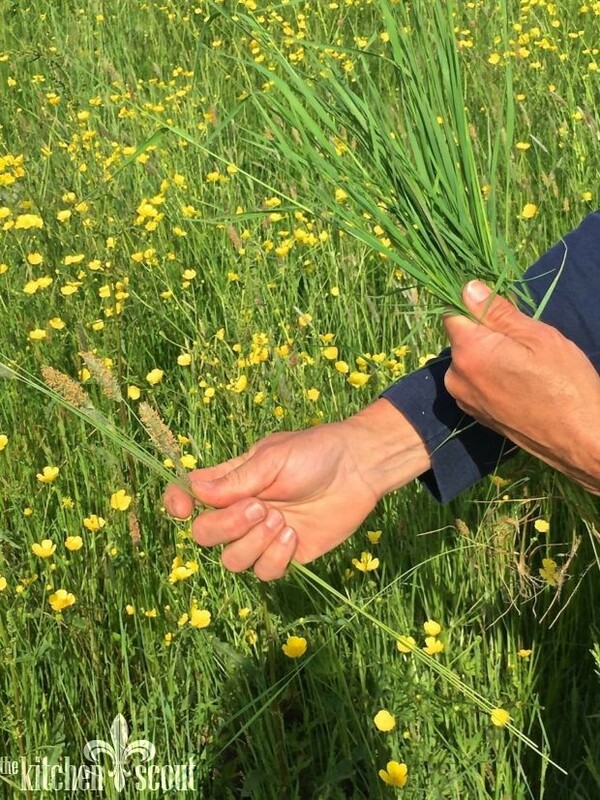 Kris wanted to return the land to its original use of sustainable farming. And, she wanted to learn the ropes. That is how Five Pine Farm was born. 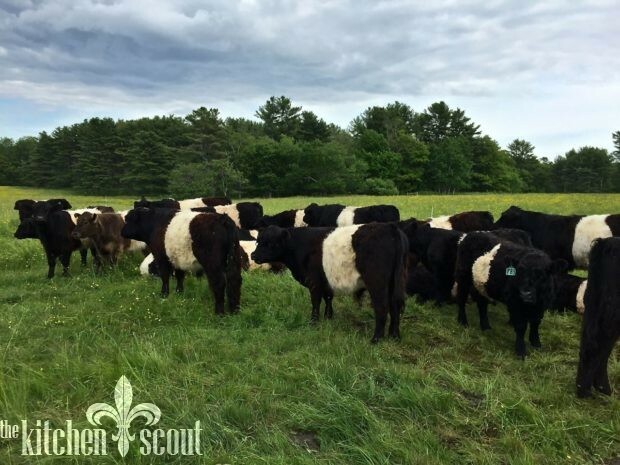 For the past three outdoor seasons, Kris has hosted a herd of cows on her land who have enjoyed its wide open spaces, luscious grasses and her tender care. The deal she made with the two farmers she has worked with thus far has been that they were to teach her everything she needed to know about taking care of the cows. 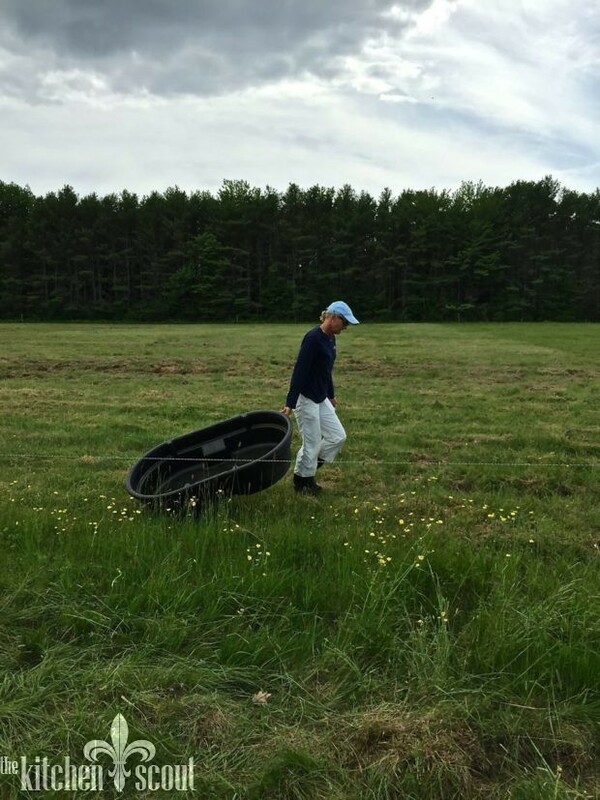 She has worked tirelessly from May to November for the past three years taking care of these animals, making sure they have proper water and are constantly rotating to new patches of land to consume fresh grass. 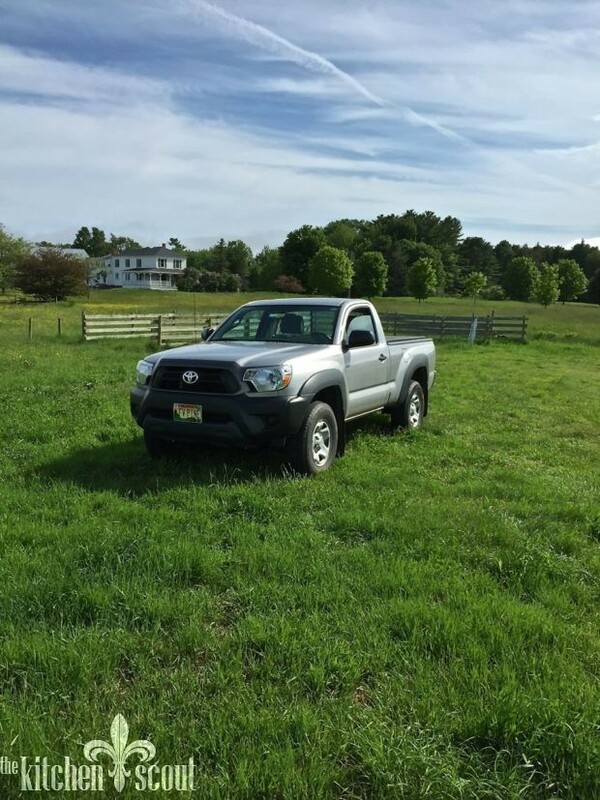 She has learned to drive a tractor and swapped her city car for a pick up. Kris has always been a student of whatever she does and takes great care to make sure no details are missed. She has taken that approach with this project as well. Kris tried to describe her responsibilities to me on the phone and it sounded like back breaking work! 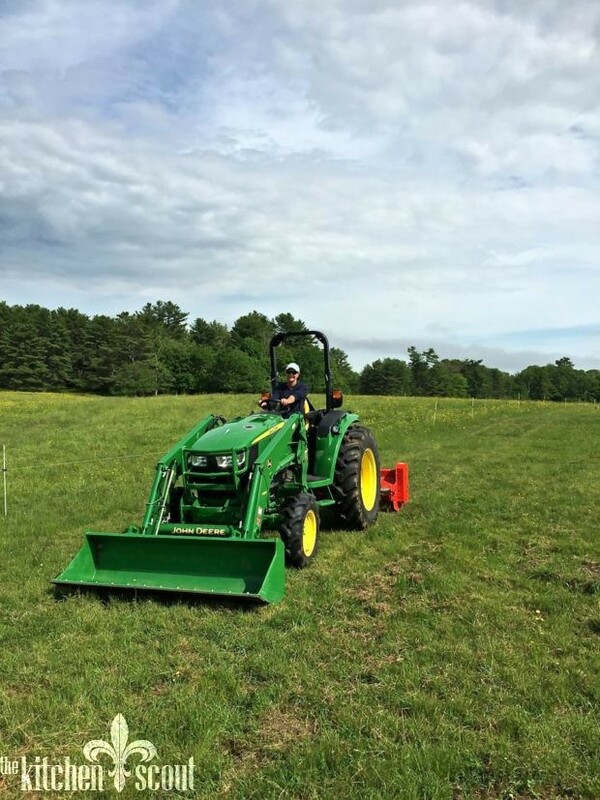 Pulling up fences and pounding them into new places, herding the cows, working on a tractor. 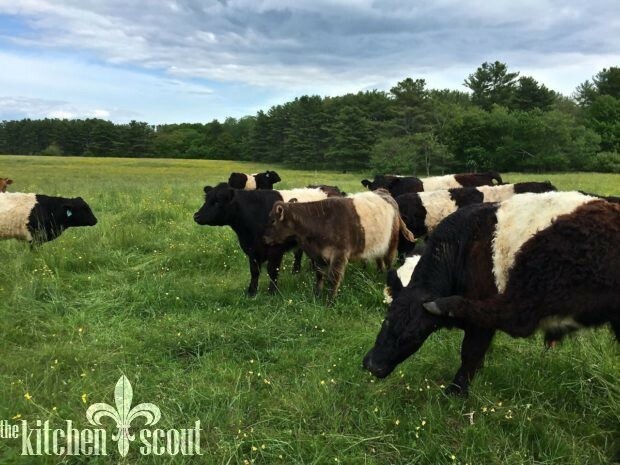 For the past two years, Kris’s cows have come to her Brunswick land from Two Coves Farm in Harpswell, Maine. 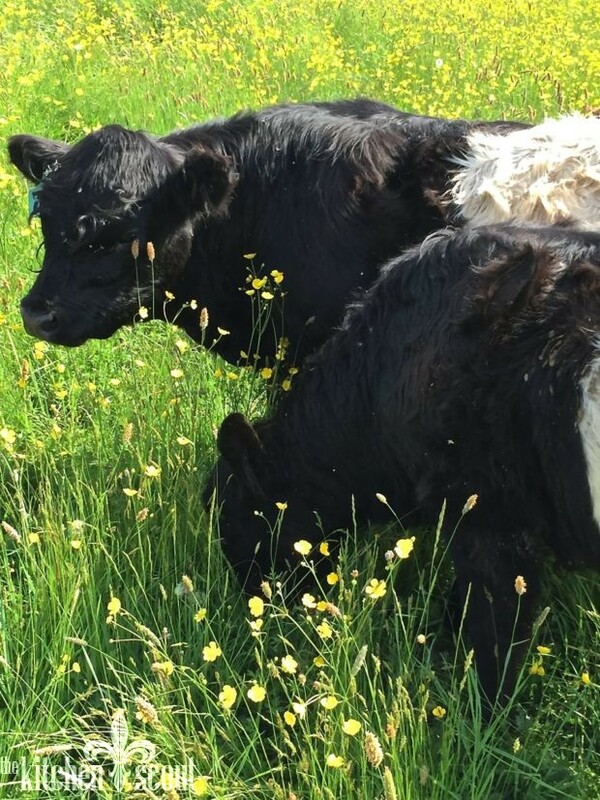 Two Coves Farm is run by farmer, Joe Grady and his wife Laura. 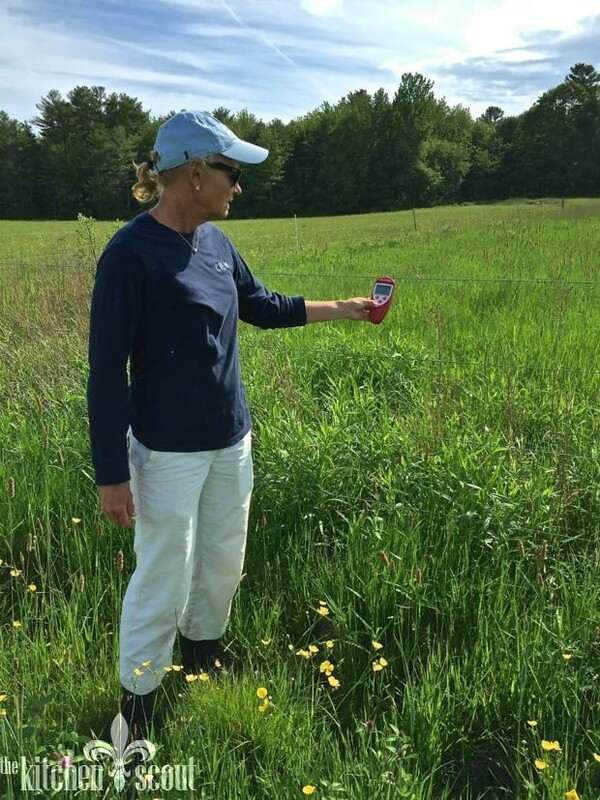 Two Coves also raises sheep, pigs, chickens and turkeys on the Harpswell property. 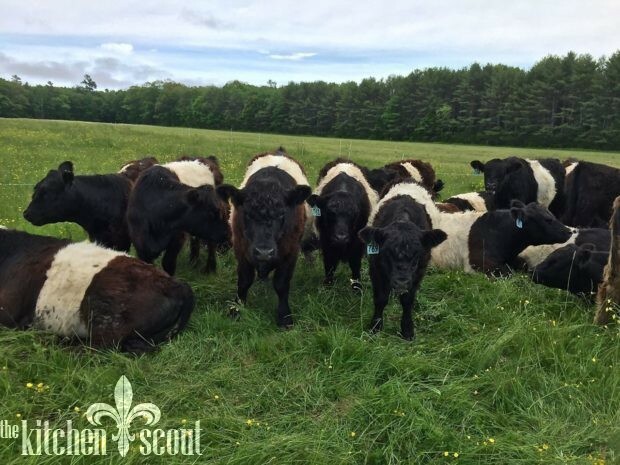 Two Coves has a Natural Meat CSA and sells frozen meat and fresh eggs throughout the year. 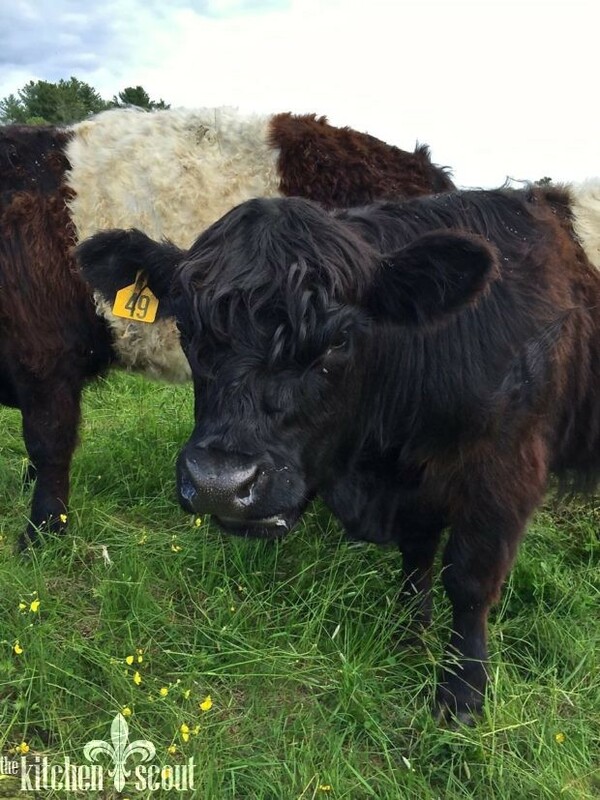 The merits of consuming grass fed meats appears to be well documented (I am not an expert on this subject). I found this article online that will illuminate some of the merits if you are interested! In May, I was in Maine at our college reunion. Kris and I snuck away on a gorgeous afternoon so she could show me the land the cows call home from roughly May to November, the herd and explain to me how farming has changed her life! This is a look back from where we found the herd. The barn in the distance was part of the original working farm and the tractor is waiting for Kris to hop on and mow. Isn’t it beautiful? Here are some of the cows. 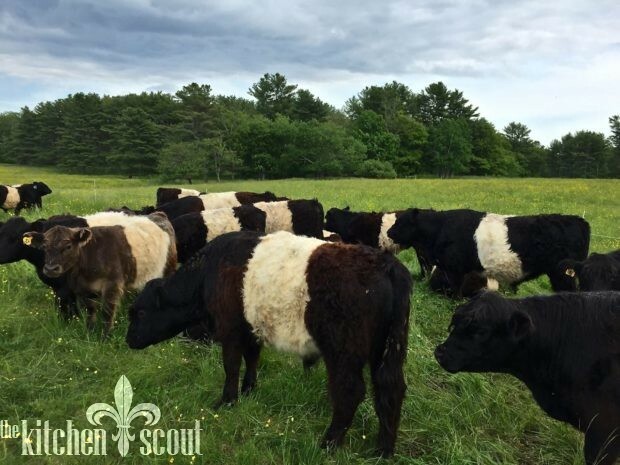 This past year, Kris hosted 33 Belted Galloways, up from 20 the previous year. She hopes to have at least 40 this coming season from Two Coves. 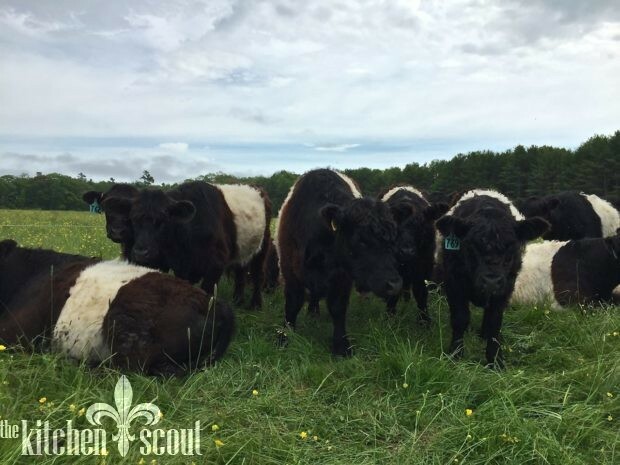 The Belted Galloway is a breed originally from Scotland and you can see why they were named “belted” right? 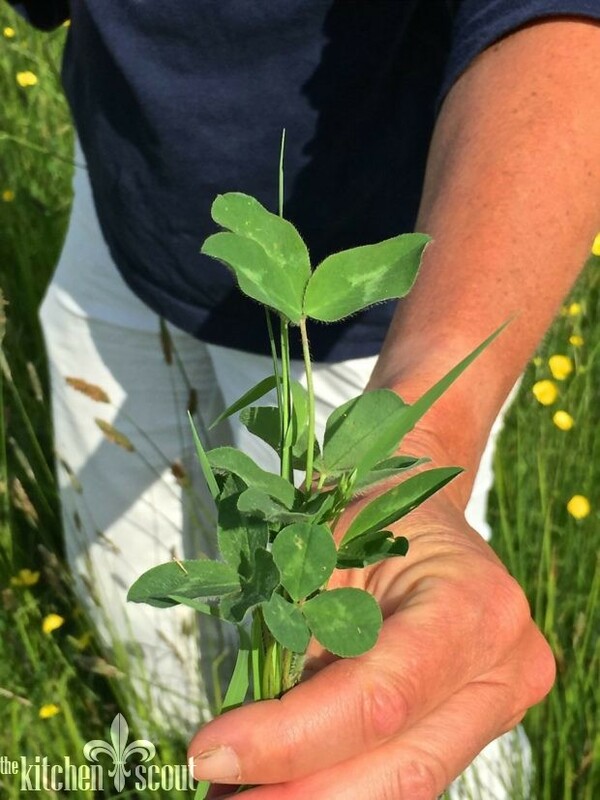 You can read about some of the benefits of eating this specific kind of beef here. 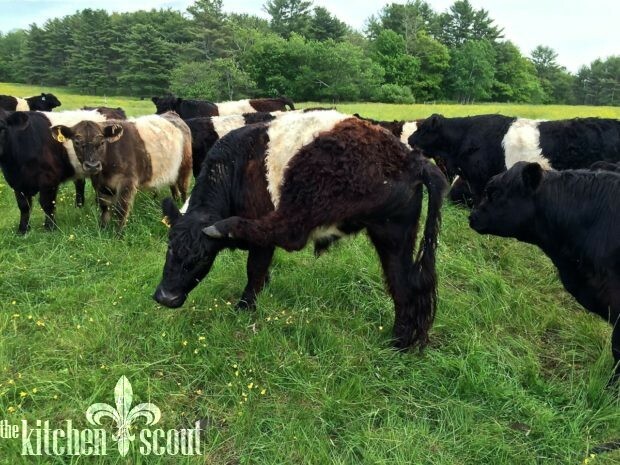 Some of the cows are brown and white, while more of them were black and white. You’ll see in some of the pictures below that there are white wires that run horizontally around where the cows are grazing. The wire is electric to protect the animals. It’s also there to distinguish the section of land the cows are currently feeding on. 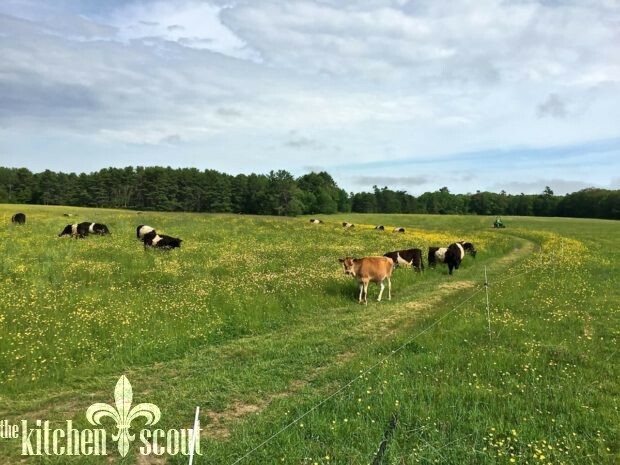 During our visit, one of Kris’s jobs was to move the herd from this section of the farm, to a new section so the herd could enjoy fresh grasses. This sounds easier than it was, trust me! The concept of knowing where your food is coming from, how it is being raised and by whom is not new, but it definitely is appealing to me. This past year, my cousin and I decided to split a lamb share from Two Coves Farm and we are currently working our way through that supply in my freezer. This year, I am going to do a beef share. 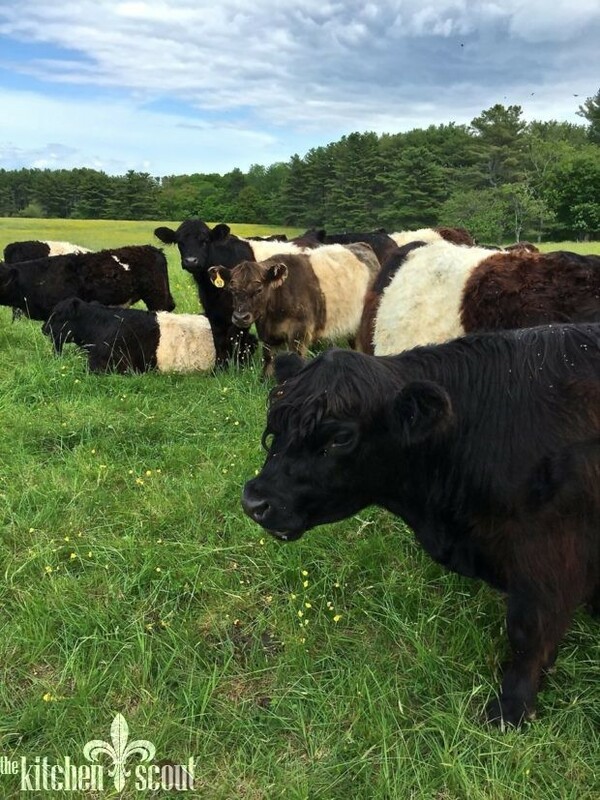 Here is the link to the Two Coves Farm website again if you are interested in learning more or perhaps participating in this year’s Natural Meat CSA. For significant orders (roughly $500 at a minimum), the farm will arrange for delivery. Take a look! Val- This was inspiring to read and also see Kris’ work well documented. I’m so with you on “where’s the there?” and happy to see that someone on the Kitchen Scout found it! Inspiring story. 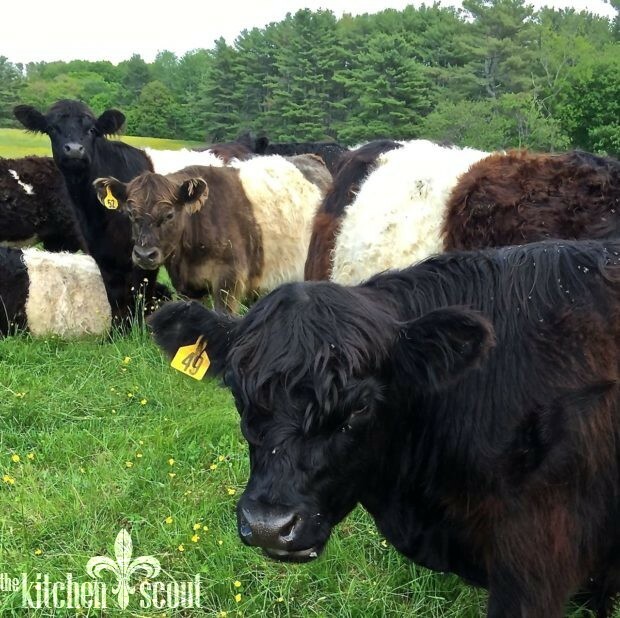 I battle “going vegetarian” every time I see these lovely gentle animals even in the most perfect setting like Kris’ farm. Thank you Val. This is FANTASTIC – thank you for celebrating our dear friend Kris! That was a wonderful story Val. I loved reading about Kris and her new found path in life.